Gutters help drain water from your roof and prevent any amount of it to stay on the roof’s surface. When water pools on the roof, it may start seeping into the lower layers of your roofing system. Prolonged exposure to moisture may also cause your roof to be filled with mold and mildew which, in turn, can result in health problems for all of your home’s occupants. From the roof, any water needs to be guided towards the ground, away from your home’s foundation and siding. A good foundation is necessary to keeping your home’s structural integrity in check but when your foundation is constantly exposed to moisture, deterioration starts to occur. Your home’s siding should, likewise, be protected from water possibly penetrating it and causing any rotting or warping to occur. The dangers of clogged gutters can cause additional expenses too. Your home’s value depends a lot on how visually appealing it is to potential buyers later on. Clogged gutters can drive your property’s price down because buyers will factor in the cost of having those fixed before moving in. Our team at Pechacek’s General Contracting has over 15 years worth of experience in installing gutters, repairing siding and constructing new decks. 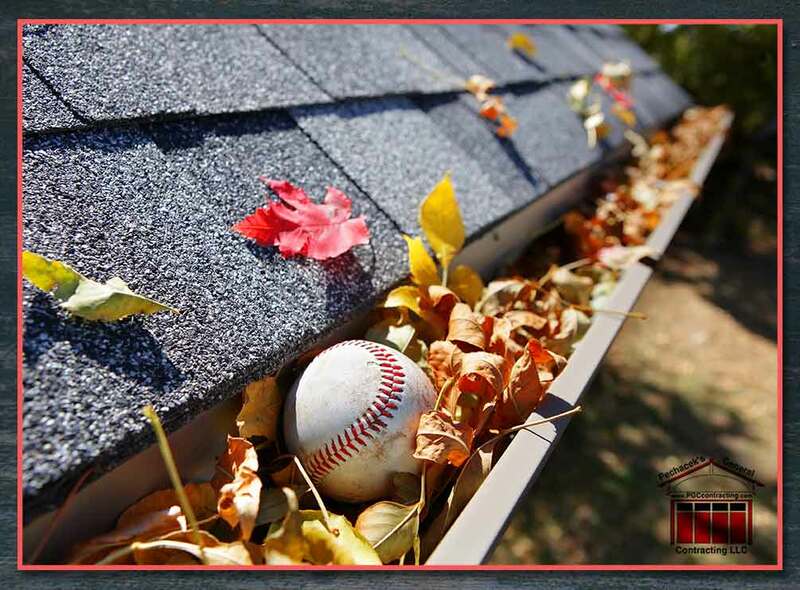 We can help you ensure that your home’s gutters are clear and always in top shape. Call us at 715-425-9801 to find out more. We serve clients in River Falls, WI.